Daimler AG v. Bauman: Where Is a Corporation’s True Home? While the legal issues in Daimler AG v. Bauman may not be as controversial as government prayer or the Affordable Care Act, the case has significant implications for businesses and those who wish to sue them. In its recent decision, the Supreme Court adopted a narrow view of personal jurisdiction, making it more difficult to sue a corporation outside of its “home” state or country. The claims in the case arise from Daimler AG’s alleged involvement in Argentina’s “Dirty War” of 1976-1983. The plaintiffs, workers and families of workers in the Gonzalez-Catan plant of Mercedes Benz Argentina, contend that the company aided Argentina’s military in identifying workers suspected of being subversives or union agitators. Many of the workers were arrested, while others simply disappeared. Based on those allegations, plaintiffs asserted human rights abuses under the Alien Tort Statute and the Torture Victim Protection Act of 1991, as well as under California and Argentina law. Personal jurisdiction over Daimler rested on the California contacts of Mercedes-Benz USA, LLC (MBUSA), another Daimler subsidiary, which was incorporated in Delaware and had its principal place of business in New Jersey. The Ninth Circuit Court of Appeals previously ruled that sales of the company’s Mercedes Benz vehicles in California and other commercial activity provided a sufficient basis for personal jurisdiction, reasoning that if the independent distributor went out of businesses, Daimler would step into its shoes to sell the luxury cars in California. On appeal, the specific question before the Court was whether it violates due process for a court to exercise general personal jurisdiction over a foreign corporation based solely on the fact that an indirect corporate subsidiary performs services on behalf of the defendant in the forum state. By a Court ultimately concluded that there was not sufficient personal jurisdiction over Daimler AG because the alleged conduct took place entirely outside of the United States. In turning to general personal jurisdiction, the Court reiterated the long-standing precedent that a court may have “general jurisdiction” over an out-of-state defendant only when its “affiliations with the State are so ‘continuous and systematic’ as to render it essentially at home in the forum State.” It further noted that grounds for general personal jurisdiction for a corporation are generally the place of incorporation and principal place of business. While the Court acknowledged that exceptional case may exist where “a corporation’s operations in a forum other than its formal place of incorporation or principal place of business may be so substantial and of such a nature as to render the corporation at home in that State,” it further noted that the test must be narrow to ensure both fairness and predictability. “General jurisdiction . 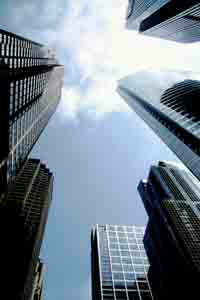 . . calls for an appraisal of a corporation’s activities in their entirety, nationwide and worldwide. A corporation that operates in many places can scarcely be deemed at home in all of them,” the justices concluded.